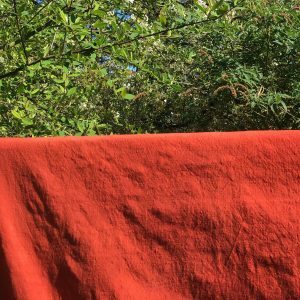 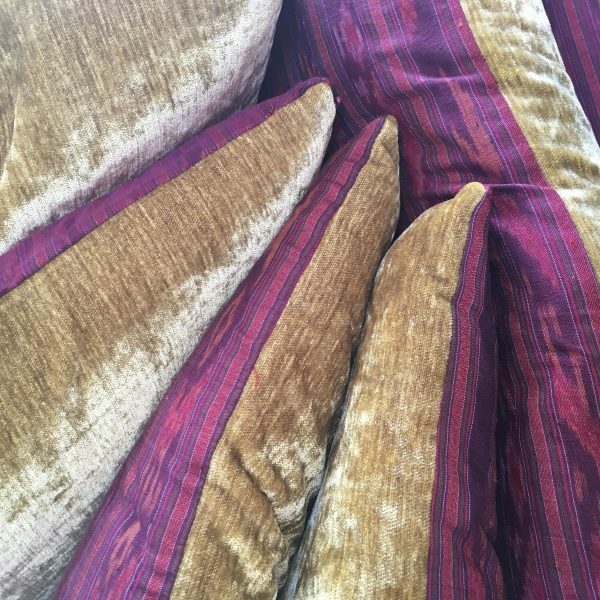 Vintage hand woven Laotian silk backed in delicious chartreuse velvet. 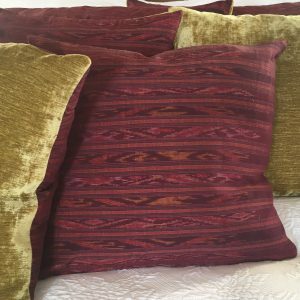 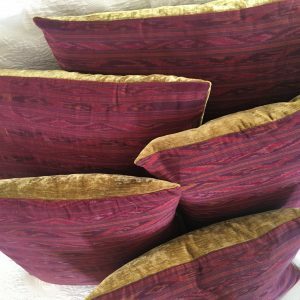 Rich Purple tones of vintage hand woven Laotian silk backed in delicious chartreuse velvet. 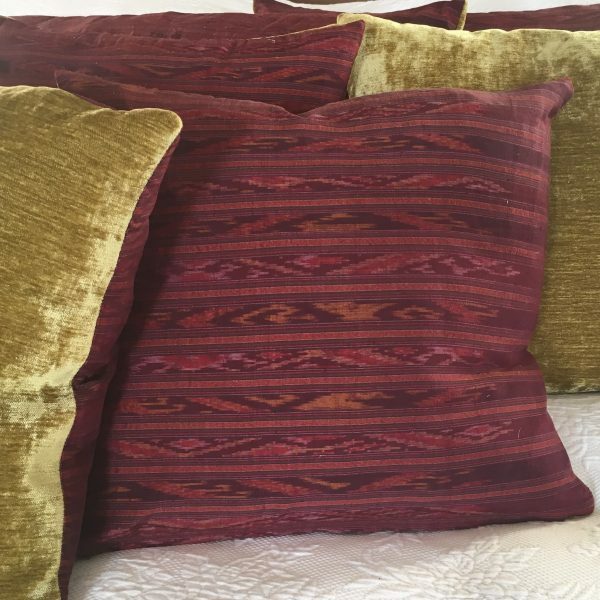 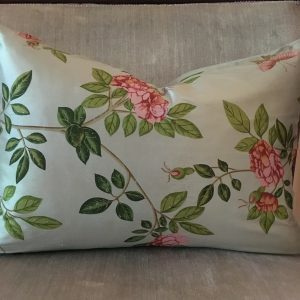 These throw cushions just make you want to sink into a whole pile of them.